Join us as we travel the world to support our local teams! *Special guests include Reds’ catcher, Tucker Barnhart. In addition we will celebrate Marty’s retirement as the Reds’ Radio voice for the past 46 years. Provident Travel is known for coordinating the Cincinnati Red Rooters’ trips as well as our popular Baseball All-Star Cruise. Join us and catch exciting baseball action from Spring Training to the Hot Stove League on a Red Rooters’, Rosie Reds or All-Star vacation. 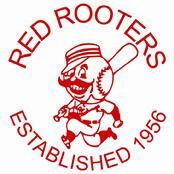 2019 marks our 63rd year escorting the Red Rooters to spring training and regular season games.